Hundreds of First Nation chiefs from across the country voted in Vancouver today for the national chief of the Assembly of First Nations. First Nations leaders and their proxies have elected incumbent Perry Bellegarde to a second term as national chief of the Assembly of First Nations. Bellegarde won one the second ballot, after he failed to secure the required 60 per cent of the vote in the first round of voting. A total of 522 eligible voters cast ballots in the second round of voting. Five candidates ran for the top position of the country's most prominent First Nation organization for the next three years. Kathryn Whitecloud, the candidate who secured the fewest votes in the first round of ballots was not on the second ballot. 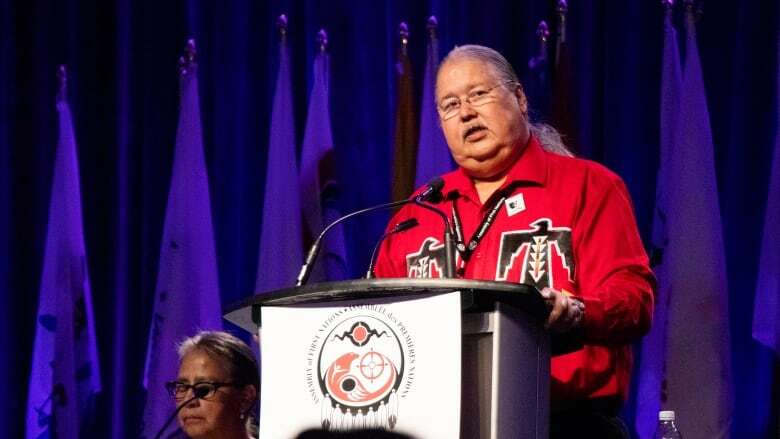 As the voting took place, candidate Russ Diabo, a policy analyst from Kahnawake in Quebec, accused Crown-Indigenous Relations Minister Carolyn Bennett of "political interference" Wednesday after she met with a group of chiefs on voting day. "This is the first time I have seen a minister come in to influence chiefs on voting day," said Diabo. "I see that as political interference." Diabo's allegations stem from seeing the minister enter the Alberta assembly's caucus room just as he finished meeting the group. Each region has its own private room at the conference centre. A statement from the minister's office said, "In no way did the Minister interfere in the electoral process for National Chief. This is a decision for First Nations to make without outside interference. "The Minister was invited by Regional Chief [Marlene] Poitras to listen to the regional concerns of Alberta Chiefs this morning. ‎At no point was the election for national chief ever discussed." Poitras also issued a news release about the allegations, confirming that she invited Bennett to meet with the Alberta caucus. "I was present during the meetings as were members of my staff, and we can confirm that at no time did the Minister reference any candidate, oppose or speak against any candidate's platform, or speak to the election itself," she wrote. Shortly after Diabo raised his concerns, national chief candidates Miles Richardson and Sheila North joined him on stage in the main exhibition room and made similar remarks to the media about the minister's presence at the annual general assembly on election day. Thomas Bressette, chief of the Chippewas of Kettle and Stoney Point in Ontario, said he doesn't agree with any allegation of wrongdoing by the federal cabinet minister. Bressette is supporting Bellegarde's bid for national chief. "You know, if a region wanted to have a meeting with the minister, they have a right to. It's not up to those three [candidates]... I don't even know why it's being raised, it's a ridiculous argument." Diabo continued to assert his concerns about possible political interference during his concession speech. B.C had the largest contingent of chiefs, with 155 registered to vote, and they could prove decisive in electing the winner, according to data released Tuesday evening. Ontario had the second-largest block of chiefs present in Vancouver with 120 chiefs and proxies registered to vote. The chiefs heard final pitches from each of the five candidates Tuesday who outlined their campaign platforms in hopes of swaying the undecided. Bellegarde, the incumbent national chief, defended his record as his opponents keyed on the theme that the AFN had lost its way. "We need a national chief who can sit at the table with Liberals without becoming one," said candidate North, a grand chief from Manitoba, during her speech Tuesday. Russ Diabo, a policy analyst for Kahnawake in Quebec, is running for the leadership of the Assembly of First Nations. Diabo of Kahnawake in Quebec, said the organization had "strayed" from its principles and is now Ottawa's "cheerleader." Miles Richardson, former president of the Council of the Haida Nation, is the only candidate from B.C. running for the position of national chief. Richardson, the former president of the Haida Nation, heads into voting day with a number of endorsements, including those from three former AFN national chiefs. 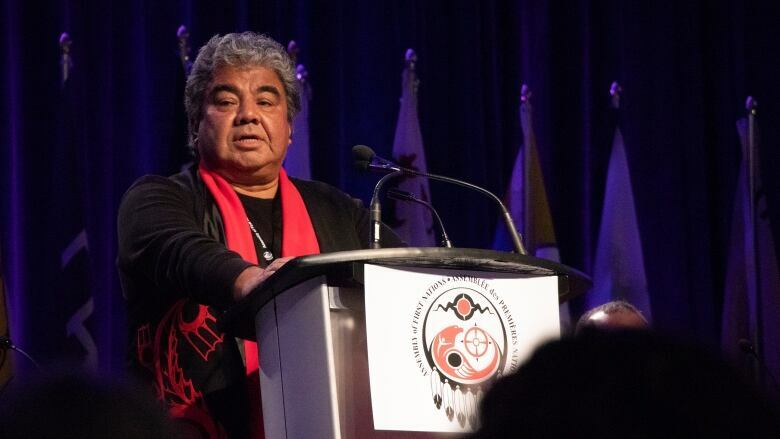 Richardson said his experience achieving recognition of the Haida Nation's right to rule its own territory makes him well prepared to lead the AFN and force the government to acknowledge the same for other First Nations. 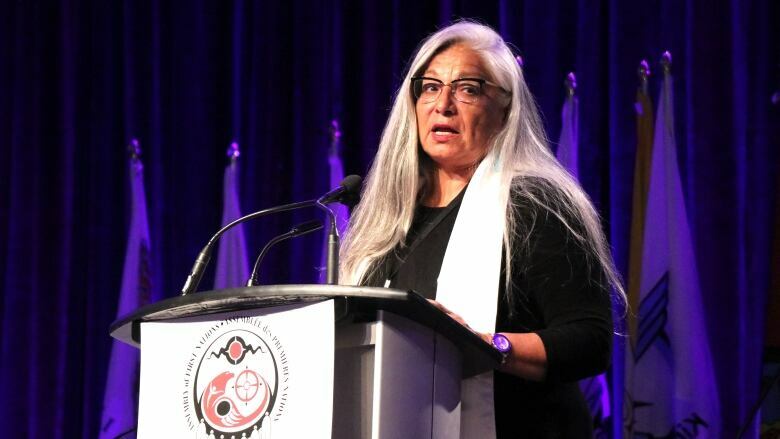 Whitecloud, a former AFN regional chief from Manitoba, said the AFN needed to return to its traditional ways and focus its work on what's best for the coming generations. The AFN represents over 600 First Nations across the country. It was founded in 1982 and built on its predecessor, the National Indian Brotherhood.